You live in DC. Inevitably, you will have people come to visit because they want to bask in the glow of our mighty democracy, or they just finished season two of House of Cards, or they're your parents. When they arrive, they'll undoubtedly have plenty of questions. This should help you answer them. 1. 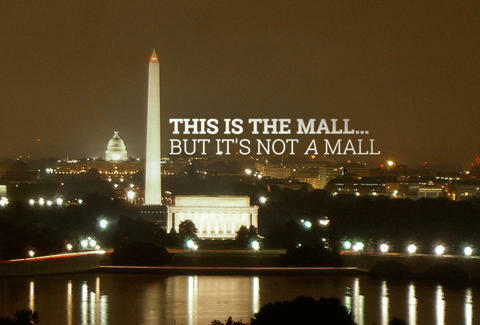 The Mall isn’t an actual mall. It’s a big patch of peed-on grass and gravel. Pentagon City is the actual mall. Also -- Pentagon City isn't really a city. 2. We take SOTU drink specials and drinking games VERY seriously. A "make no mistake," from Obama definitely means a sip. Oh, SOTU = State of the Union. 3. Our official language is acronyms. 4. 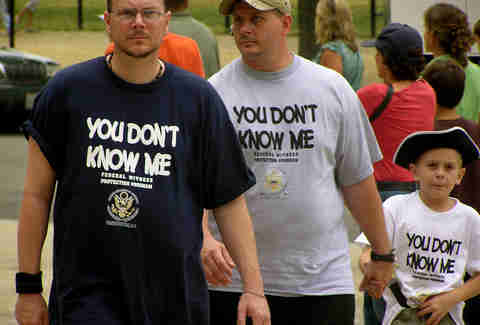 Those three-for-$10 Witness Protection T-shirts by The Mall aren't worth it. Think about it, would someone in that situation broadcast it in cotton? 5. A U Street Taco has absolutely NOTHING to do with Mexican food. 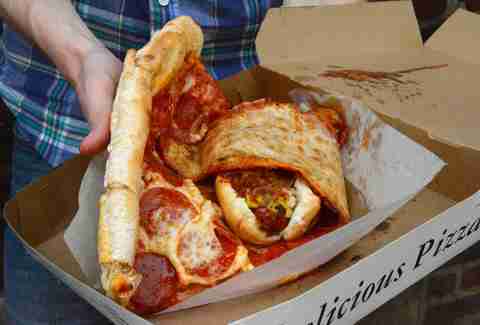 It’s a Ben’s Chili Bowl half smoke lovingly wrapped in a Jumbo Slice. It always seems like a good idea at the time. 6. The only thing "Washington" about Scandal is Kerry. In fact, all those shows you like are filmed elsewhere. Veep and House of Cards -- both shot in Baltimore. 7. DC is also known as Hollywood for ugly people. Admire our poorly dressed politicians! Get your picture taken with an office worker rocking sneaks and a suit! 8. 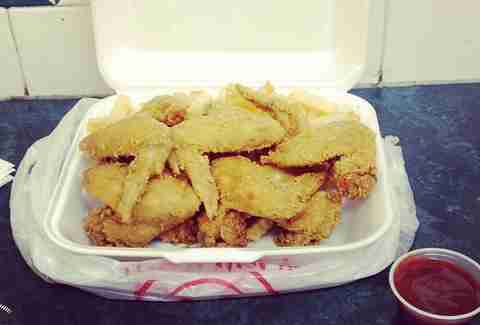 You can put mumbo sauce on anything. It’s like BBQ sauce that got a hug from China. 9. 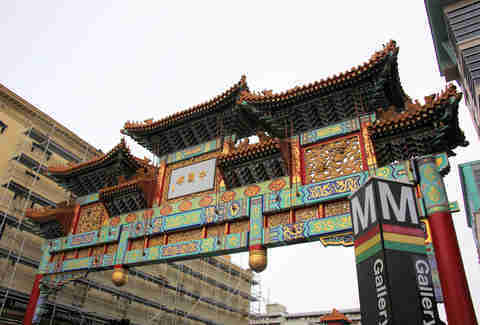 Keep your wallet in your pocket at Smithsonian museums. It’s not a prank -- they really are free. 10. No one actually goes to the National Zoo (also free! ), but we do obsess over webcam footage of zoo animals, especially when baby pandas are involved. 11. 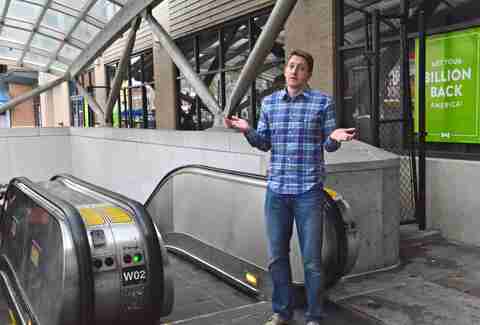 No, there are no secret buttons at Metro stations to turn the escalators on. They’re just perpetually broken. 12. A broken escalator is the ONLY time you won’t get scolded for standing left. Go ahead, stand there all day. Working escalator? You'd better clear out. 13. 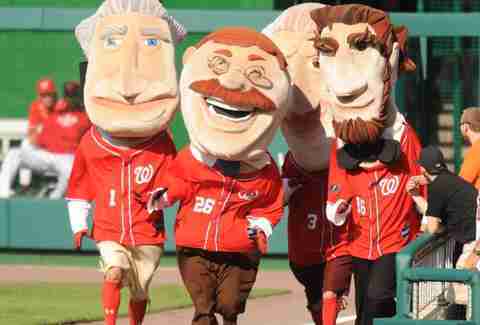 DO NOT bet on Teddy to win the President’s Race at Nationals Park. He will inevitably trip or get disqualified (unless the Nats are post-season bound!). 14. We often do dinner, sometimes squeeze in a lunch, but always, absolutely ALWAYS do brunch. 15. You will hear this question a lot: "No, but where are you FROM?" It’s usually in response to someone masquerading as a DC original who's actually from Maryland or Virginia. 16. It’s okay to leave NW. You will not get mugged. Instead, you will find yourself surrounded by ironic facial hair and mommy bloggers. 17. Good Chinese food is in Rockville, NOT in Chinatown. 18. We're sorry there are so many tapas restaurants. Blame José Andrés. 19. 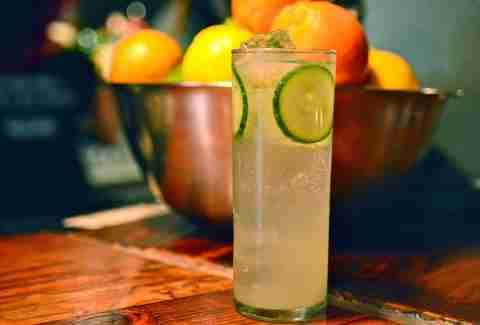 The closest thing to a signature food or drink are half smokes and gin Rickeys. Try them, but not together. Pro tip: the best half smokes might not be at Ben’s. 20. You will see people like David Gregory in Starbucks. Don’t make a scene. Just steal an iPhone shot and post it to Facebook like everyone else. 21. We don’t try to compare ourselves to New York or any other big city; we can’t even have skyscrapers! Food trucks are an exception. Ours are better than yours. 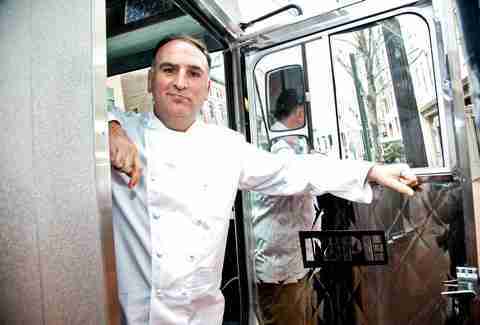 Yea, that’s José Andrés again. 22. Most importantly: it's DC or "The District". Washington is a state, a president, and star of the hit television program Scandal.